There’s no question about it: a baby carrier is one of the most comfortable and secure ways of carrying your child around! However, there are a number of questions that we keep hearing from parents looking for a baby carrier for their baby. What are the advantages of a baby carrier? With a baby carrier, your baby will always be close to you, without you having to sacrifice your arms to holding them when you have a million chores to attend to. You can carry on working – inside the house, or outside – while your baby sleeps serenely beside you. Baby carriers are especially helpful when you are travelling or visiting friends or family, and pushing a stroller around is not a choice. You could be waiting in line at the bank or walking along the beach, and your arms would not get tired from holding your baby for too long. How do I choose a baby carrier for my child? While choosing a baby carrier, there are a number of questions that come up with most parents. When can a baby go in a carrier? Theoretically, babies can be carried in a carrier as a newborn. But you have to keep one thing in mind: babies need to be at least 4-5 months old before their neck muscles are strong enough to support their head. If you do carry a newborn that is less than 5 months old in a carrier, you need to make sure it provides enough support for the baby’s head to rest on. Baby carriers are usually hard and firm to give a sturdy support for your growing child. 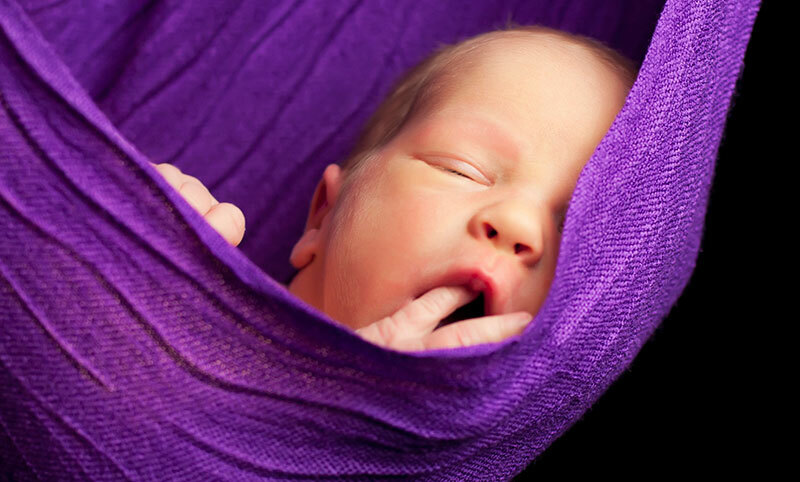 Your newborn might find it uncomfortable to sleep inside a rigid carrier; for this reason, a baby wrap or a sling made from soft fabric that can allow your baby to curl up comfortably inside might be a better choice. 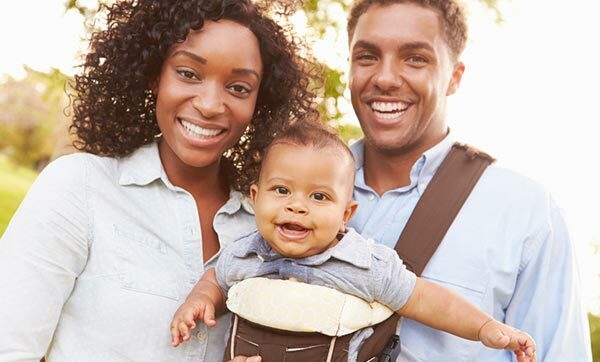 To answer the question at hand: although it is perfectly all right to buy a baby carrier for your newborn baby, they will be better suited inside a sling or a wrap. How much weight do baby carriers hold? Different carriers are built for babies of various weights, differing between brands and models. On average, babies weigh around 7 to 8 pounds at birth and slowly gain another 12 to 15 pounds over the next 12 months. Most baby carriers are built to support babies weighing from 7 pounds to 40 pounds – the average weight babies reach when they are 4 years old or more. Therefore, most baby carriers can easily support a child who is more than 3.5 or 4 years old. However, most parents stop carrying their children when they reach their 2nd birthday, because they learn to walk very well by that age. When can I carry my baby facing outward? Very young children do not need to face outwards; they will be more comfortable sleeping the whole time you carry them around. Before they are 5-6 months old, it is recommended that you carry your child facing towards you, so that they can rest their head on your chest and sleep comfortably, listening to your heartbeat and feeling your skin against them. By the time your baby is 6 months old, they would have developed strong neck muscles and started to show some interest in the world around them. This is the perfect time to start carrying them facing outward, because they can hold their heads high and enjoy looking around them at different colors and movements. When is a baby carrier safe for the baby’s hips? If the proper position to carry a baby in a carrier is not maintained, it is possible to harm your baby’s hips and lead to hip dysplasia – which is the abnormal formation of the hips. When the baby’s legs are left dangling on the sides, at any age from birth to 3 years old, it can create permanent problems for the hips, especially if the baby remains in the same position for a long time. 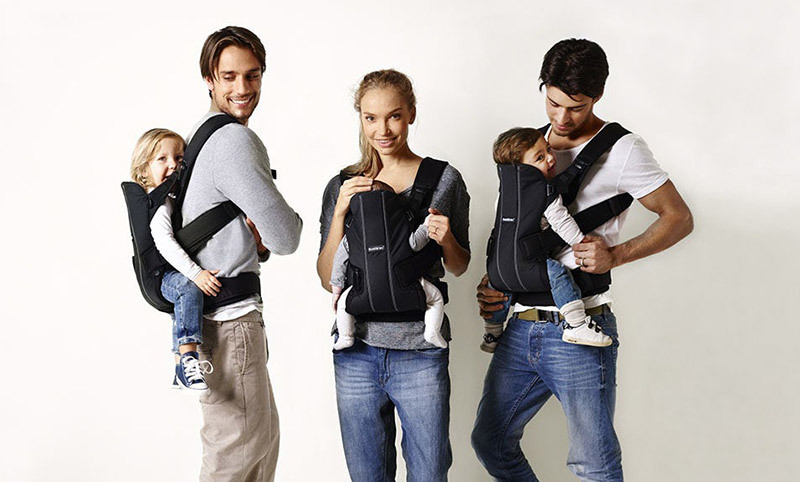 However, a good baby carrier provides support to the legs and not just the parent’s back. In such cases, the pressure is taken off the hips and the legs get proper support; the legs do not dangle below the back but are spread and supported, going around the waist of the person who is carrying the child. The hip is more stable and doesn’t need to carry the pressure of the whole body, thus making the baby feel more comfortable. How old does my baby have to be for a carrier? Newborn babies can be put in a carrier, but it is preferable to wait until they are capable of holding their heads high. If you need to use a carrier for babies younger than that, it is recommended that you choose a carrier that has a sturdy headrest where your new baby can rest its head. Your newborn to 5 months old baby will be more interested in sleeping close to you rather than enjoying the view, so it’s important that the carrier you choose is comfortable enough for them to sleep in. 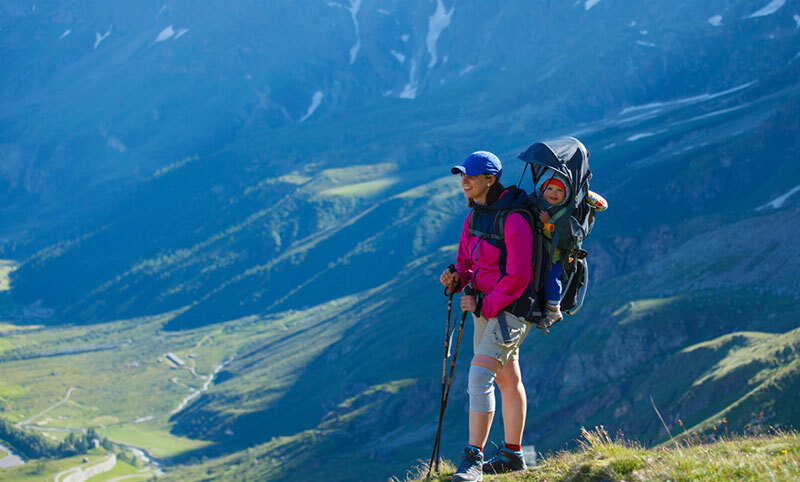 What is the best way to carry a baby when hiking? If you are looking to explore the great outdoors with your baby, be sure to check out our in depth look at baby backpack carriers.